How do I Use Boxing for Fitness? 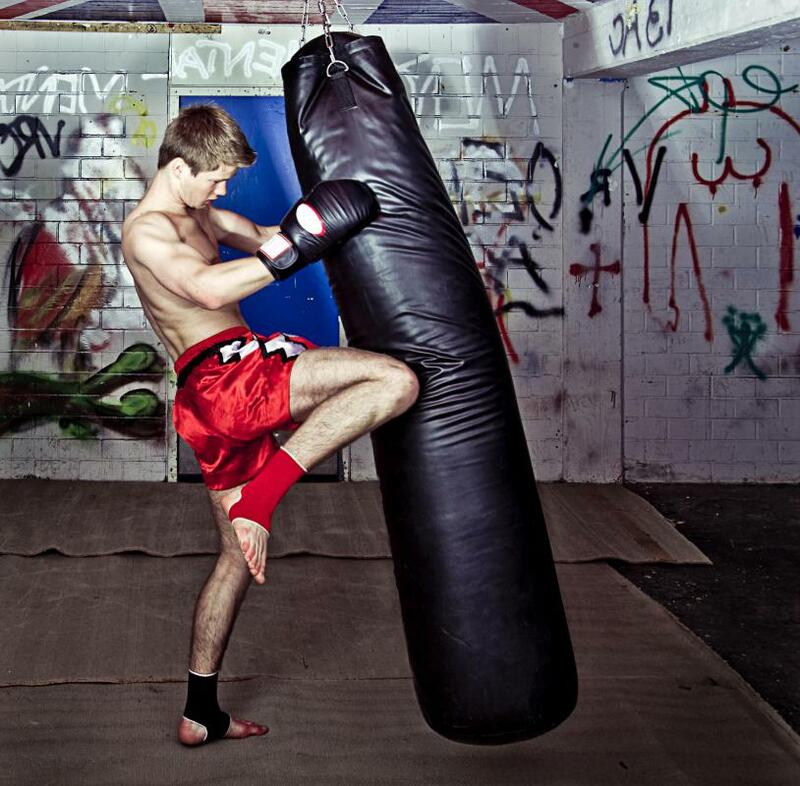 Using kickboxing moves with a punching bag might provide an intense and varied workout. Kickboxing classes can be taken at a gym. 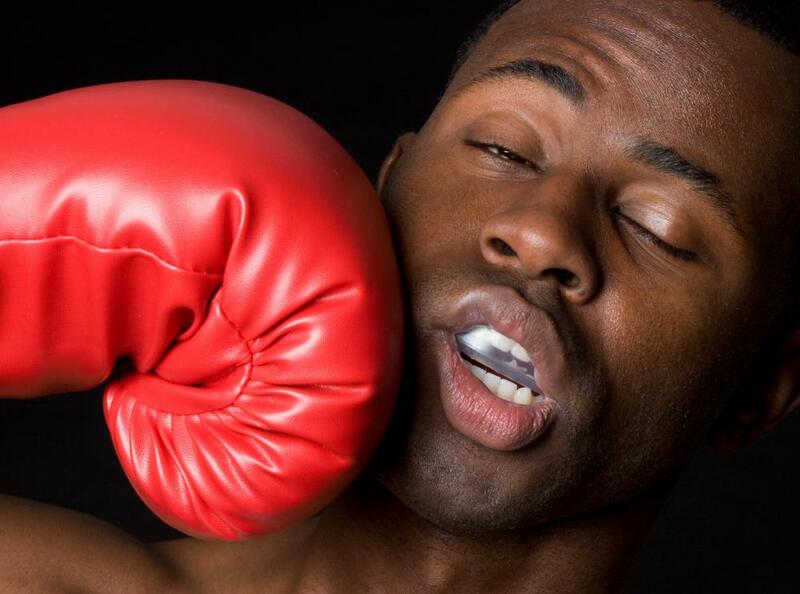 Boxers may burn more than 1,000 calories an hour in the gym. Boxing workouts may involve building stamina using basic jump rope moves. Boxing can burn more calories than many commonly used exercises. When people think of boxers, they usually envision a person in great physical condition with defined muscles and a six pack above their boxing trunks. This prevailing notion is there because the training boxers perform puts them in tremendous shape. Most anyone can participate in these training activities to work toward this fitness level. Beginners can acquire a speed bag and a punching bag for home workouts, join a gym where boxing classes are offered or find an instructional DVD to learn proper moves and workouts. As people grow more and more weary of traditional workouts, boxing for fitness can provide a nice alternative. Assuming a starting weight of 190 pounds, boxing in various forms can burn more calories than many of the more commonly used exercises. 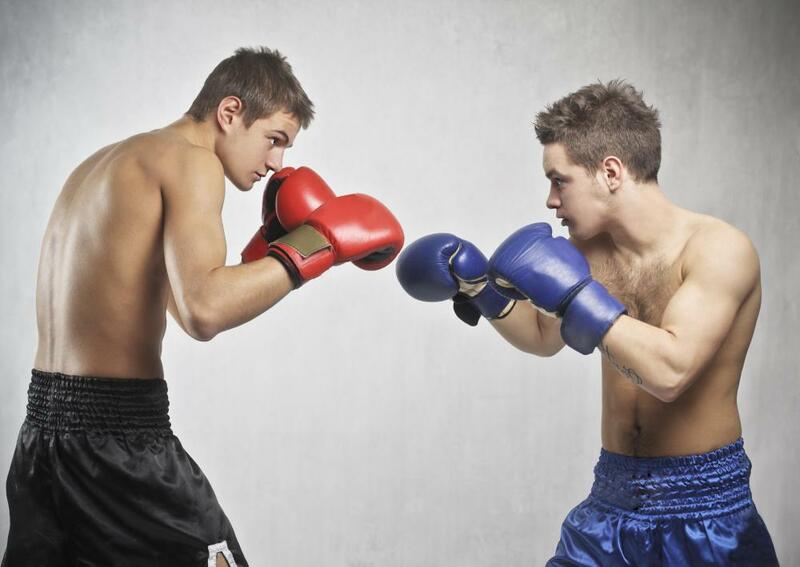 Boxing in a ring may burn as much as 1,035 calories an hour. Light sparring with an opponent can burn up to 776 calories an hour, and working out with a heavy bag may burn up to 518 calories an hour. Even if you have no interest in getting into a ring with an opponent and have no access to a punching bag, there are a few ways you can still use boxing for fitness. Shadowboxing, for example, involves throwing light punches combined with dancing footwork. This can be done freestyle or rhythmically. To freestyle shadowbox, simply throw combinations of punches while bouncing on the balls of your feet, making sure to duck and jive as you avoid your imaginary opponents punches. To do it rhythmically, step forward and throw a punch, return to a base stance, and then step forward with your other foot and throw a punch. Repeat this process, turning the boxing routine into a standard cardio workout, much like aerobics. If you have access to a boxing gym open to the public, the fitness routine will be even easier to accomplish. There, you can use such equipment as heavy bags, speed bags, jump ropes and sparring to round out a boxing for fitness routine. When sparring with an opponent, it's best to choose a partner who has similar goals as your own. Boxing for fitness obviously has different mechanisms than boxing to increase skill and practice strategy. The point is to keep the heart rate up, rather than to find ways to pulverize your opponent. When sparring, it is typically recommended to wear appropriate protective gear, such as gloves, a face protector, and a mouthpiece. Boxers don't use only boxing to get into great shape. If you want to devise a well-rounded boxing for fitness routine, you should incorporate other exercises such as weight lifting, jogging, and jumping rope to get a full body workout. Strength training and lifting weights also may be incorporated into a boxing fitness routine. How Do I Choose the Best Home Boxing Gym? How Do I Become a Cutman? What are the Different Types of Children's Boxing Gloves? What are the Different Types of Boxing Bag Workouts? I have heard that boxing exercises are great for losing weight. However, when you think about it, a big part of a boxer's work out routine involves road work. In other words, boxers run a lot. After reading the section of this article where it mentions how many calories you can burn boxing, I realize that you can burn as many calories incline running on a treadmill or running hills. I'm not saying boxing is not a good way to work out, but basically, all exercise is going to burn the calories as long as you stick to the routine you set up for yourself. I guess boxing could keep the workout interesting if you enjoy this. And making exercise fun is very important to maintaining a regular schedule and getting healthy. @Laotionne - If you really want to combine exercise and self defense training then consider joining a kickboxing for fitness class. There is a class at the exercise facility where I work out, and the instructors in the class teach all of the striking and self defense parts of the sport. The class at my gym is a non-contact class, but as I said, you get all of the training, and you could eventually follow up this type of beginner class with a more advanced class where you actually spar other boxers. The reasons I would like to develop a boxing exercise routine are that first of all I want to lose weight, and the boxing seems like a great way to burn more calories than the average workout. Also, as this article points out, boxers have great body tone, strength and muscle definition. The third aspect of boxing for fitness that appeals to me is that boxing is also a good form of self defense. So by boxing, I can kill two birds with one stone and get in shape and learn to protect myself at the same time.